Remix City sifts through mountains of remix trash so you don’t have to, in an attempt to find those that contribute something original to their originals. Indie rockers Breton get a tranced out remix by Busy P and Trent Reznor‘s How To Destroy Angels gets a minimal track minimally reworked again by Dave Sitek. You can stream the entire new An Omen EP from HTDA as well. 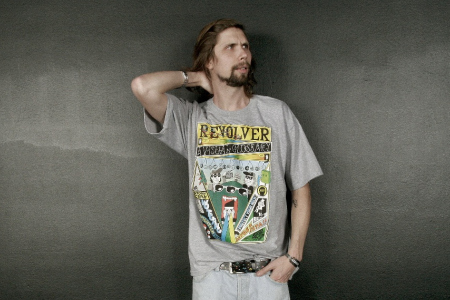 French electrohouse producer (and manager of Daft Punk and Justice, amongst other things) Busy P builds on Breton’s “Governing Correctly” with a bass-driven expansion upon the more straight-laced, vocal-driven rock band original. The track’s trancey potentials are fully realized as the track goes in and out of extended breaks and electro builds, finally concluding with an ending two minutes that are rich, satisfying, and completely realized ideas. Lending his name to Trent Reznor’s side project, How To Destroy Angels, NYC-based multi-instrumentalist and Dave Sitek (of TV On The Radio) has decided to create an ambient vocal mix of “Keep It Together”. Stripped primarily to bare bones vocals and harmonies, the remix is propped up just barely by washes of ambient distortion, chattering noise, occasional guitar lines, and sparse beats. Reznor’s vocals might be the most surprising influence to the track when it’s introduced towards its finish, but it’s inclusion also hearkens back to older NIN days. There is a lot to tease one’s ears with here. Admittedly, though, it maintains the same overall feel as the original, which you can also hear below, so it’s a close comparison call between the two. You can also stream the entirety of their An Omen EP below, and I would recommend paying special attention to album closer, “Speaking In Tongues”.